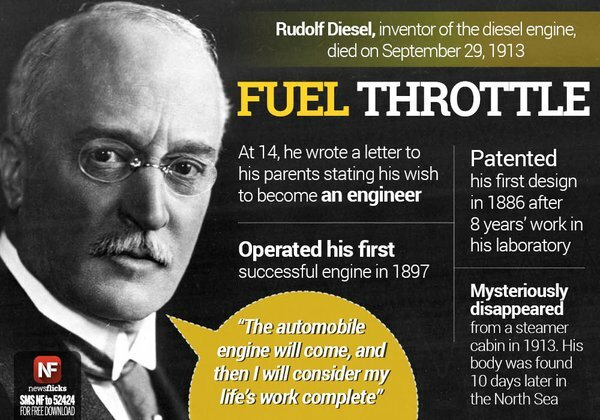 The Diesel engine was patented by Rudolf Diesel, influencing the industrial revolution that would change the way things were done on the pipeline – 125 year ago. Rudolf Diesel obtained his first patent, RP 67207, titled “Arbeitsverfahren und Ausführungsart für Verbrennungsmaschinen” (Working Methods and Techniques for Internal Combustion Engines). Once fully developed, Diesel’s engine design proved to be far superior to the more common steam engine designs of the day.